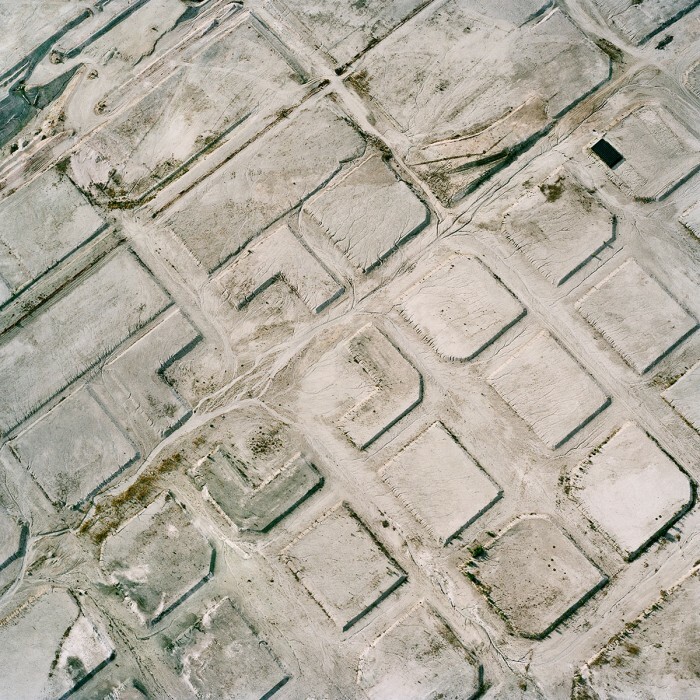 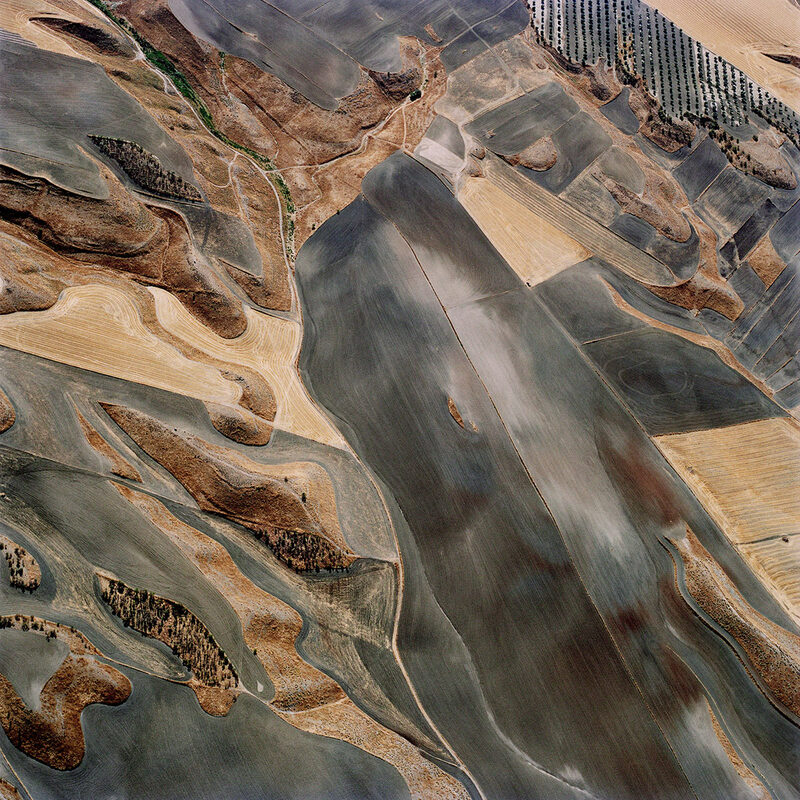 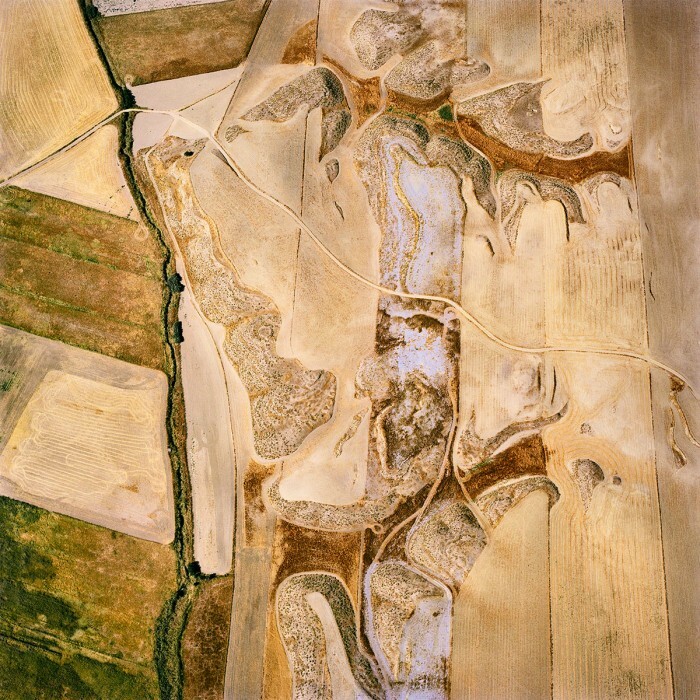 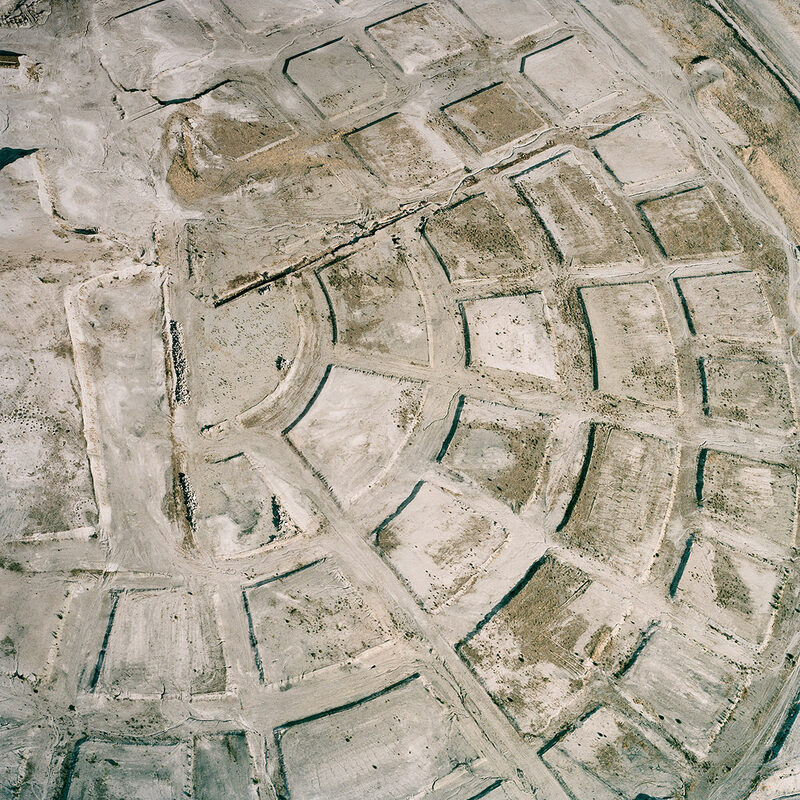 Borox –strange, ashen landscapes in a mining and agricultural region of La Mancha. 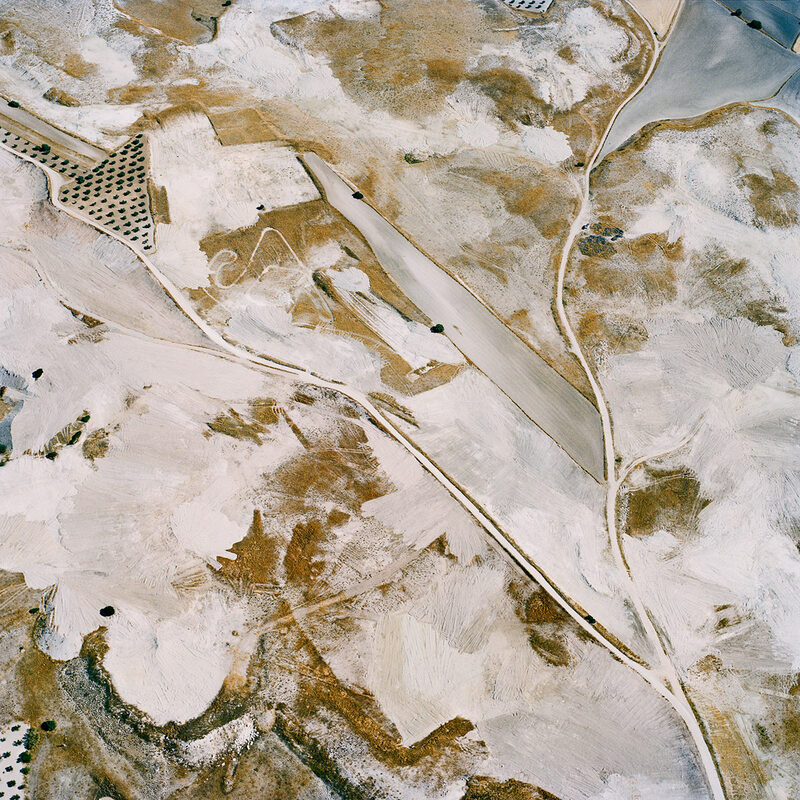 The soil is laden with the mineral borax, which gives a surreal, ashen quality; the landscape shines, almost like a grey sea in a desert. 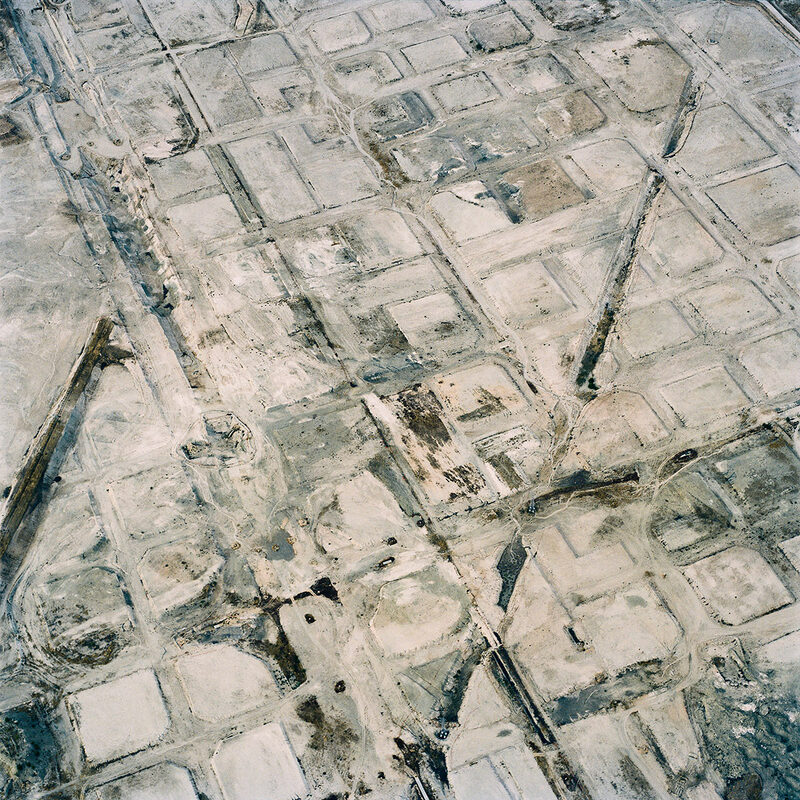 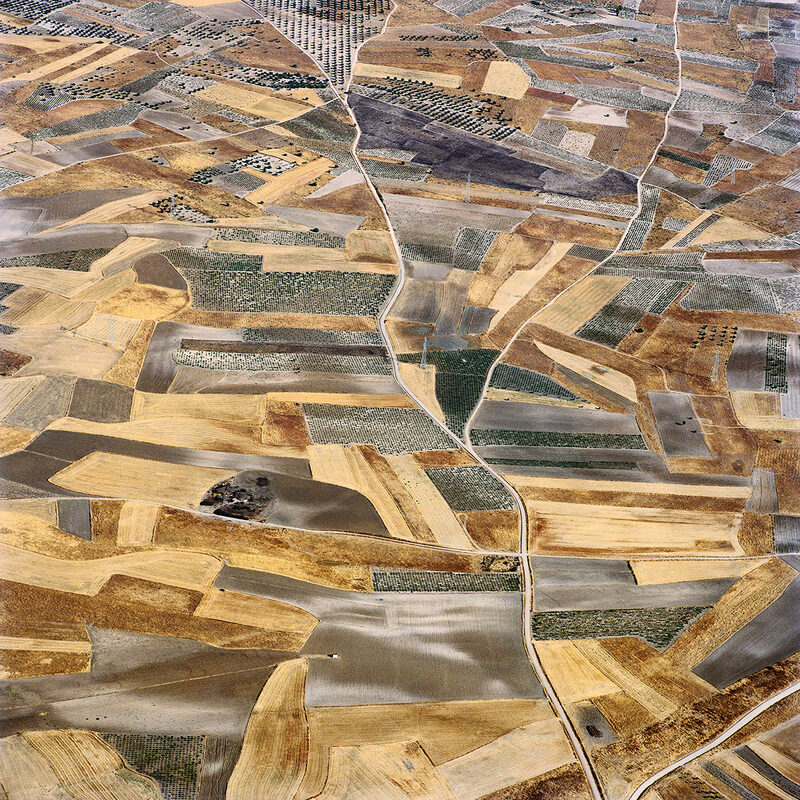 Vicalvaro – developments on the periphery of Madrid, where construction was halted after the economic collapse of 2008. The abandoned zones appear like the surreal aftermath of a bombed out city or an alien landing field. 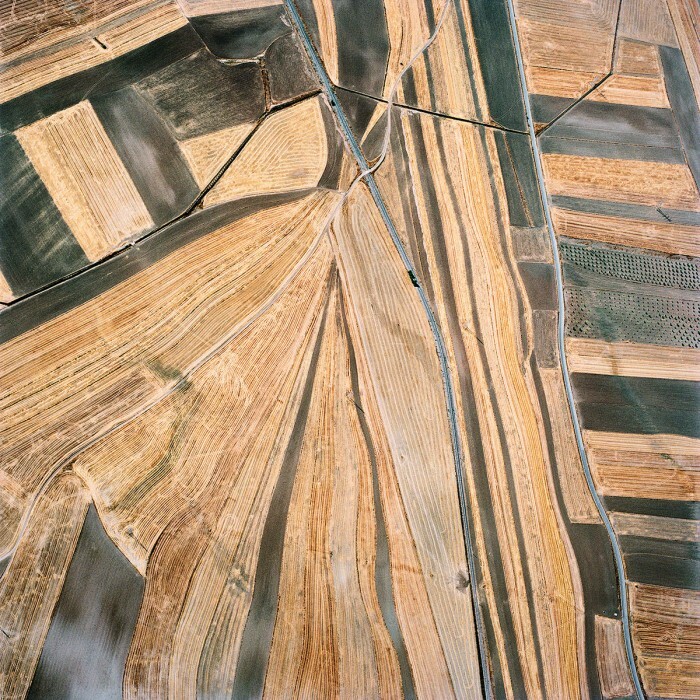 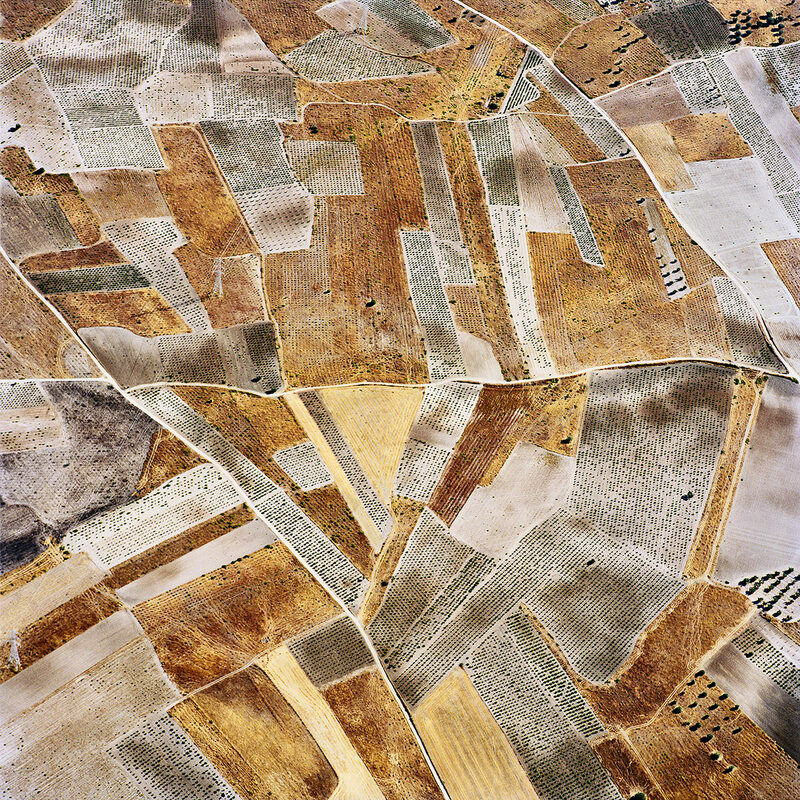 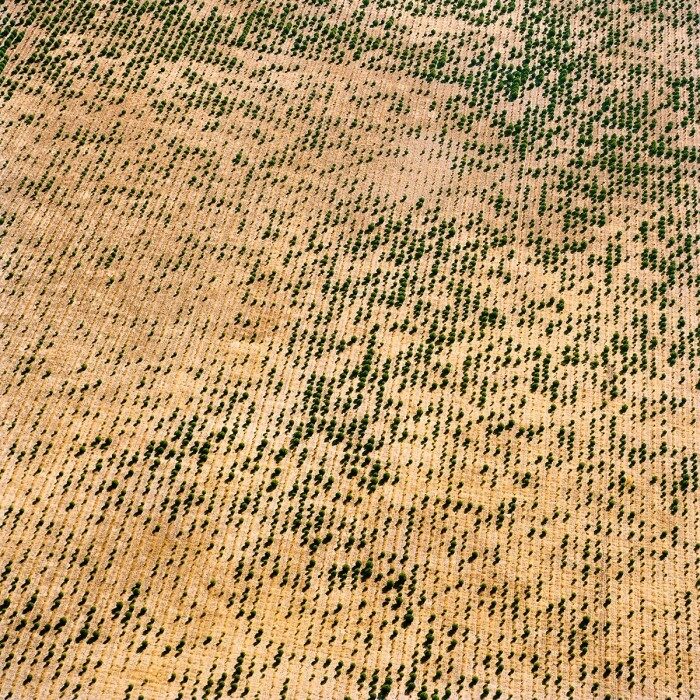 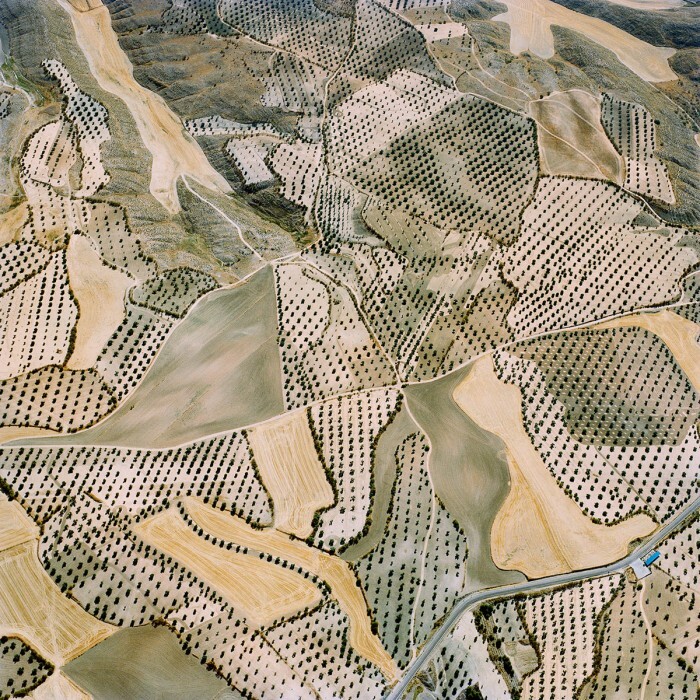 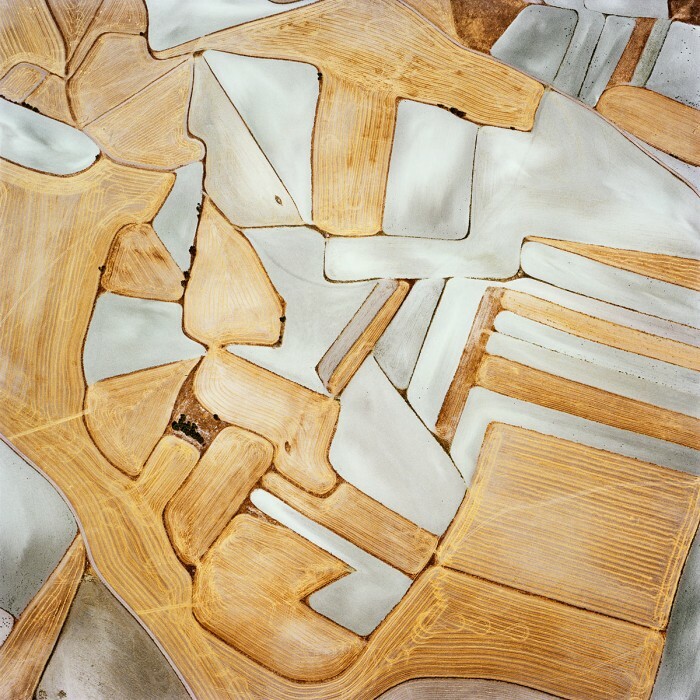 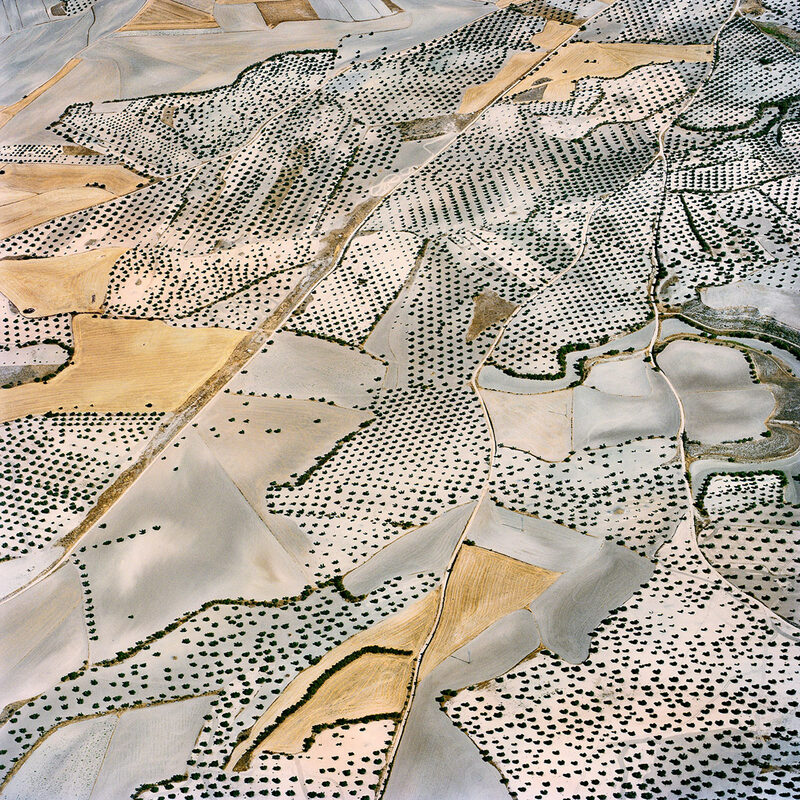 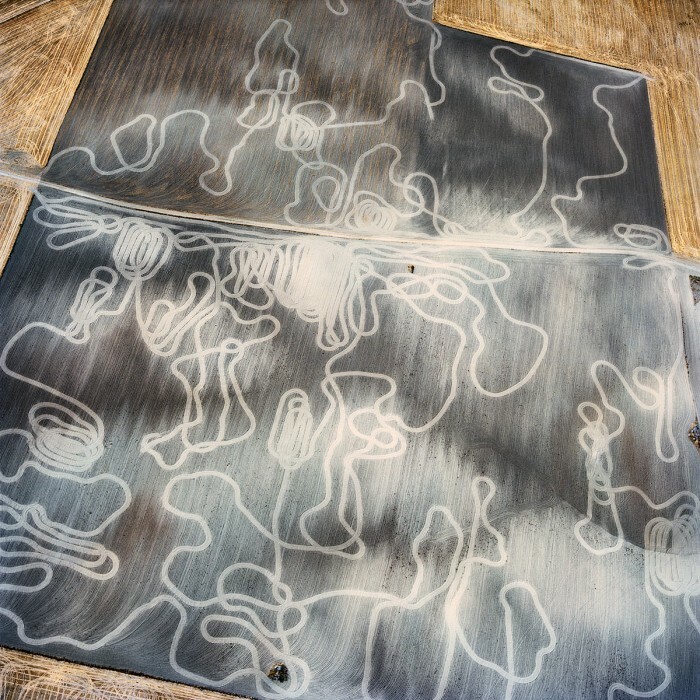 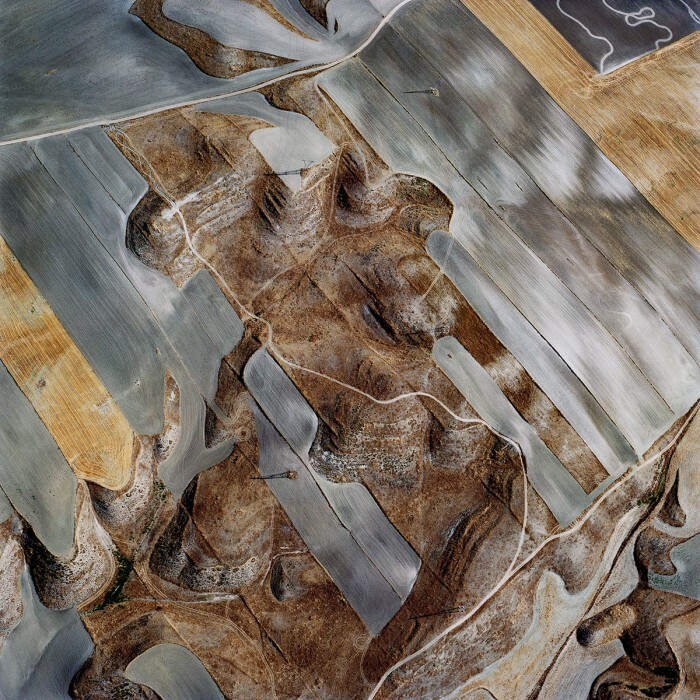 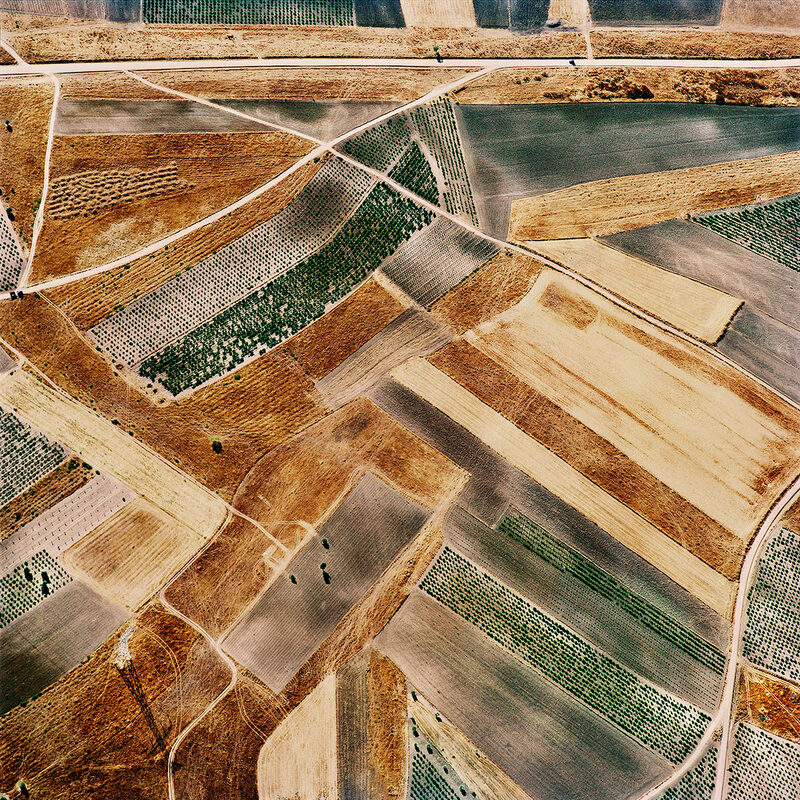 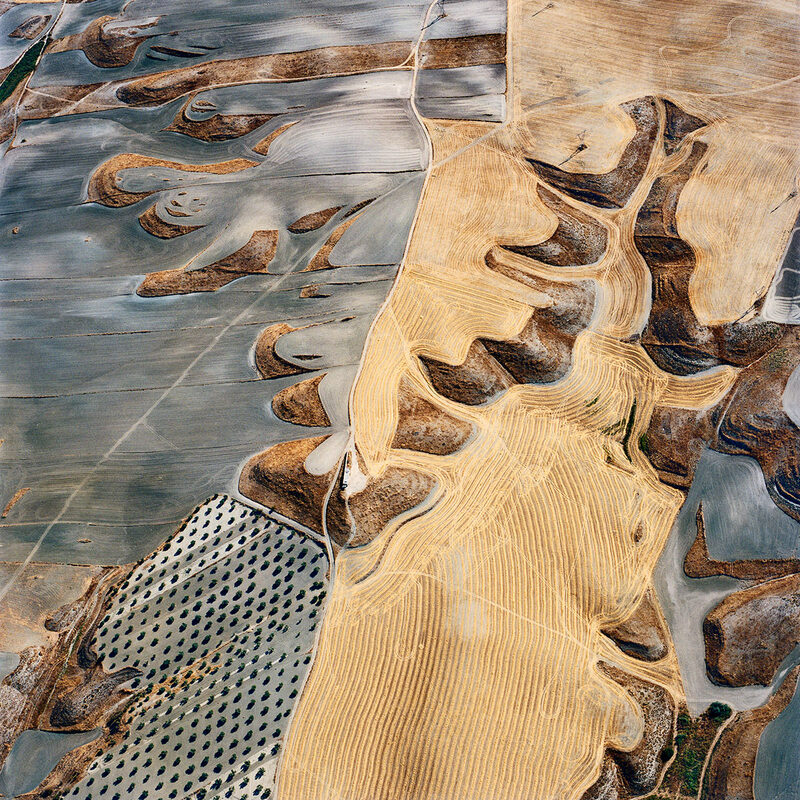 Fuensalida – croplands in the La Mancha region, gridded, crosshatched, and abstracted.